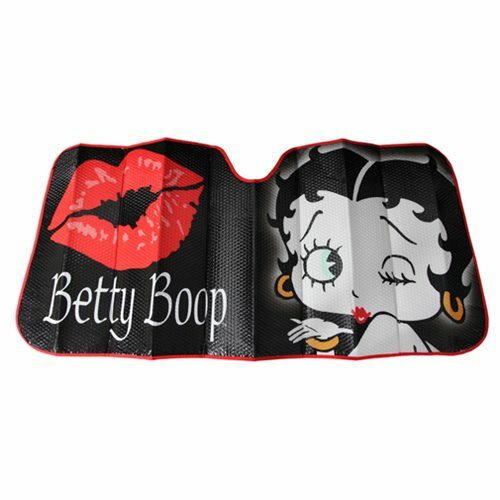 Say no to hot cars with this super stylish Betty Boop Timeless Bubble Accordion Sunshade which features your favorite retro-cartoon character. Not only is it super-stylish, it also is super-functional; it blocks out UV rays, cooling your car in the process. This sunshade measures 57-inches wide x 28-inches wide and will fit most cars, vans, and trucks.